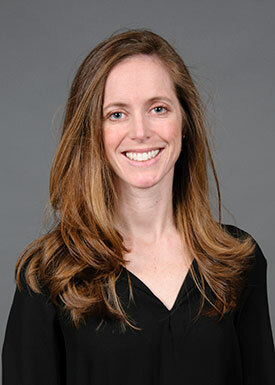 Dr. Callahan is available for appointments in Boston and Wellesley. Alison Callahan, MD, is available for consultation in surgery of the eyelids, orbit and the lacrimal (tear drainage) system. Her surgical interests include eyelid reconstruction due to malposition or after skin cancer removal, orbital tumors and reconstructions, and lacrimal system disorders in adult and pediatric populations. She is also available for an aesthetic consultation in cosmetic eyelid surgery or minimally invasive facial rejuvenation including Botox and filler treatments. Also see Dr. Callahan’s personal web site for more information. Callahan, AB, Skondra, D, Krzystolik, M, Yonekawa, Y, Eliott, D. Wyburn-Mason syndrome associated with cutaneous reactive angiomatosis and central retinal vein occlusion. Ophthalmic Surg Lasers Imaging Retina. Ophthalmic Surg Lasers Imaging Retina. 2015 Jul 1;46(7):760-2. Jakobiec FA, Callahan AB, Stagner AM, Lee NG, Rashid A, Mendoza P, Grove A, Freitag SK. Malignant rhabdoid transformation of a longstanding, aggressive, and recurrent orbital angiomyxoma. Review. Surv Ophthalmol.2015 Mar-Apr;60(2):166-76. Freitag SK, Yoon MK, Callahan AB, Lee NG, Lefebvre DR. Microdebrider use in orbital surgery. Orbit. 2014 Jun;33(3):189-92. Callahan AB, Yoon MK. Intraorbital foreign bodies: retrospective chart review and review of literature. Int Ophthalmol Clin. 2013 Fall;53(4):157-65. Fay A, Nallassamy N, Pemberton JD, Callahan A, Wladis EJ, Nguyen J, Durand ML; For The New England Oculoplastics Society Study Group. Prophylactic Postoperative Antibiotics for Enucleation and Evisceration. Ophthal Plast Reconstr Surg. 2013 May 2. Gelman SK, Gelman R, Callahan AB, Martinez-Perez ME, Casper DS, Flynn JT, Chiang MF. Plus disease in retinopathy of prematurity (ROP): quantitative analysis of standard published photograph. Archives of Ophthalmology 2010;128(9):1217-1220. Barnes AH, Eguizabal JA, Acosta FL Jr, Lotz JC, Buckley JM, Ames CP. Biomechanical pullout strength and stability of the cervical artificial pedicle screw. Spine 2009; 34(1):E16-20. Lee NG, Callahan AB, Migliori ME, Freitag SK.Minimally invasive approaches to eyebrow lifting. Int Ophthalmol Clin. 2013 Summer;53(3):47-57.